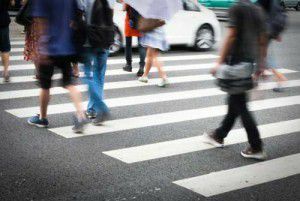 Full auto insurance policy limits settlement for a pedestrian hit by a drunk driver in Battle Creek, Michigan. The case was settled before a lawsuit was filed. The pedestrian suffered a fractured femur that required surgery. A claim against the bar that served the driver with alcohol before the accident was also made and the insurance paid the full policy of $50,000.00 to settle that claim.